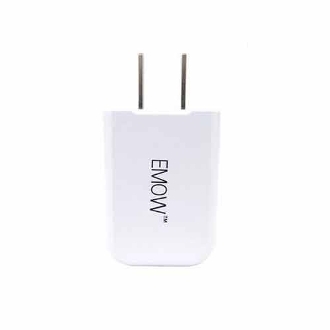 This wall port has been specifically designed for use with the EMOW batteries. EMOW batteries are powerful, therefore using a stronger wall port is a good idea to give you the best bang for your buck when it comes to your batteries. The input for this wall port is 100-240v and the output is 5.0v----1000ma. It also charges at 50/60hz 0.4A. *Not to be used to charge batteries other than EMOW as the higher voltages can damage other batteries and cause them to malfunction or stop working entirely.